UC Irvine's Department of Pharmaceutical Sciences offers a Bachelor of Science degree in Pharmaceutical Sciences that trains students in the latest pharmaceutical technologies such as gene therapy, in-vitro biopharmaceutical techniques, and accelerated chemical synthesis. The Medicinal Chemistry and Pharmacology (MCP) program offered by the department is an interdepartmental program leading to a Doctor of Philosophy (PhD) degree in either Chemistry, Molecular Biology & Biochemistry, or Pharmacological Sciences. There is also a PhD in Pharmacological Sciences program. Students admitted to a graduate program and who have experienced situations or conditions which were an impediment to advancing their studies, may be eligible for a diversity fellowship. The Texas A&M Rangel College of Pharmacy offers a Pharm.D. program for individuals who wish to become pharmacists. The college is fully accredited by the Accreditation Council for Pharmacy Education, and it is ranked number 48 of the best schools of pharmacy by U.S. News & World Report. They also offer a dual Pharm.D./MBA degree. The college has an 8:1 student-to-faculty ratio, which will ensure that all students receive individual attention, and the program provides opportunities for students to gain experience in the pharmacy field as soon as the second year of study. Students admitted to the Doctor of Pharmacy (PharmD) program at UNC's Enshelman School of Pharmacy have the option of pursuing a dual degree - PharmD/MBA (Master of Business Administration) or PharmD/MPH (Master pf Public Health). The Doctor of Philosophy in Pharmaceutical Sciences (PhD) program allows students to choose a concentration from one of their four academic divisions: Chemical Biology and Medicinal Chemistry, Molecular Pharmaceutics, Pharmacology and Experimental Therapeutics, and Pharmaceutical Outcomes and Policy. Students interested in leadership positions in healthcare can apply for admission to the Master of Science (MS) in Pharmaceutical Studies. Enshelman School of Pharmacy graduate students are supported by fellowships and assistantships that provide an annual stipend of up to $27,500, in addition to tuition, fees, and health insurance. The Doctor of Pharmacy (PharmD) professional program at UIC's College of Pharmacy is accredited by the Accreditation Council for Pharmacy Education (ACPE). The college offers the following joint degree options: PharmD/PhD (Doctor of Philosophy), PharmD/MSHI (Master of Science in Health Informatics), PharmD/MBA (Master of Business Administration), and PharmD/MS CTS (Master of Science in Clinical and Translational Science). Students have the option of pursuing one of four PhD program available: Biopharmaceutical Sciences, Medicinal Chemistry, Pharmacognosy, and Pharmacy Systems, Outcomes and Policy. There is also a Master of Science (MS) in Forensic Science program. Through its collaboration with the University of Illinois Hospital & Health Sciences System, UIC's College of Pharmacy is able to offer its students a number of residency and fellowship programs. At UC San Diego, the Doctor of Pharmacy (PharmD) program is offered by the Skaggs School of Pharmacy and Pharmaceutical Sciences. This program is accredited by the Accreditation Council for Pharmacy Education (ACPE), thus qualifying the graduates of the program to take the North American Pharmacist Licensure Examination (NAPLEX). The school has a joint Bachelor of Science in Chemistry/PharmD degree, a seven-year program offered in cooperation with UC San Diego's Department of Chemistry and Biochemistry. Students can also earn a Doctor of Philosophy (PhD) degree in pharmaceutical and biomedical sciences. The school has specialty residency programs and research fellowships in addition to a continuing education program for practicing pharmacists. The College of Pharmacy at the University of Minnesota Twin Cities was founded in 1892 and is the state's only pharmacy school. The college offers a Doctor of Pharmacy (Pharm.D.) professional program. There are two dual degree programs available - Pharm.D./MBA (Master of Business Administration) and Pharm.D./MPH (Master of Public Health). Students who wish to earn a Master of Science (M.S.) degree can choose from three programs: M.S. in Integrated Biological Sciences, M.S. in Social and Administrative Pharmacy, and a combined M.S. in Social and Administrative Pharmacy and Residency Program. Students admitted to the doctoral program can choose from the following concentration areas: Experimental & Clinical Pharmacology, Integrated Biological Sciences, Medicinal Chemistry, Pharmaceutics, and Social & Administrative Pharmacy. The Graduate Program in Pharmacology & Toxicology at UC Davis is an interdisciplinary program coordinated by the College of Agricultural and Environmental Sciences. Students admitted to this program can earn a Master of Science (MS) or Doctor of Philosophy (PhD) degree. The program offers four areas of emphases: Biotechnology, Organism-Environment Interaction, Reproductive Biology, and Translational Research. The Division of Mathematical and Physical Sciences at UC Davis offers an MS degree program in Pharmaceutical Chemistry. This is a research-based degree program that prepares graduates for careers in the pharmaceutical and biotechnology industries. Ferris State University's College of Pharmacy offers a four-year Doctor of Pharmacy degree with a curriculum that develops a foundational knowledge in the areas of biochemistry/biotechnology, medicinal chemistry, pharmacology, pharmaceutics and pharmacokinetics. Once these foundational subjects are covered, students delve into the study of the clinical science of pharmacotherapeutics. Pharmacy PhD students are required to complete approximately 1,700 hours of field experience in professional pharmacy settings over the course of the program. Admission into the PhD program requires completion of a pre-pharmacy professional program, which is also offered by Ferris State through its College of Arts and Sciences. Over 40 scholarships are available to pharmacy students, including the Proctor Family Scholarship and the Brudy Memorial Excellence in Pharmacy Scholarship. The College of Pharmacy at the University of Florida offers a Doctor of Pharmacy (PharmD) degree in two programs. One program is for students who are seeking their first professional PharmD degree, while another program, the Working Professional PharmD (WPPD), is for licensed pharmacists seeking to advance their bachelor's degree in pharmacy. The college has joint degree programs with other schools in the university that allow PharmD students to complete dual degree programs such as PharmD/MBA, PharmD/MPH and PharmD/PhD. The College of Pharmacy has five major areas of graduate concentration: Medicinal Chemistry, Pharmaceutics, Pharmacodynamics, Pharmaceutical Outcomes and Policy, and Pharmacotherapy & Translational Research. The college is accredited by the Accreditation Council for Pharmacy Education (ACPE). The School of Pharmacy at the West Virginia University is accredited by the Accreditation Council for Pharmacy Education (ACPE). The school consists of three departments: Clinical Pharmacy, Pharmaceutical Sciences, and Pharmaceutical Systems and Policy. A Doctor of Pharmacy (PharmD) degree is available. Students admitted to the Graduate Program in Pharmaceutical and Pharmacological Sciences can choose from two program pathways. The first pathway, Pharmaceutical and Pharmacological Sciences (PPS), focuses on basic laboratory research. The second pathway, Health Outcomes (HO), emphasizes population and policy research. Both pathways lead to a Doctor of Philosophy (Ph.D.) degree. The Department of Pharmaceutical and Biomedical Sciences is part of UGA's College of Pharmacy. The department offers a Bachelor of Science (B.S.) program in Pharmaceutical Sciences, which began in the fall 2013 semester. The College of Pharmacy offers the Doctor of Pharmacy (PharmD) degree. Three graduate programs in the following areas of concentrations are available: Clinical and Administrative Pharmacy, Pharmaceutical and Biomedical Sciences, and Regulatory Affairs & Clinical Trials. The College of Pharmacy collaborates with several practice partners to offer post-graduate residency training opportunities. The Division of Experience Programs handles all introductory and advanced practice experiences offered through the College of Pharmacy. The college is accredited by the Accreditation Council for Pharmacy Education (ACPE). The School of Pharmacy and Pharmaceutical Sciences at the University of Buffalo offers a Bachelor of Science (BS) in Pharmaceutical Sciences program. There is also a five-year Pharmaceutical Sciences Accelerated BS/MS Program available. The school offers both a Master of Science (MS) and a Doctor in Philosophy (PhD) degree in Pharmaceutical Sciences, as well as a Doctorate in Pharmacy (PharmD) program. Students admitted to the PharmD program have the option of earning the following joint degrees: PharmD/MBA (Master of Business Administration), PharmD/MPH (Master of Public Health), PharmD/MS (Master of Pharmaceutical Sciences), PharmD/PhD (Doctor of Philosophy in Pharmaceutical Sciences), and a PharmD/JD (Juris Doctor). The School of Pharmacy and Pharmaceutical Sciences is accredited by the Accreditation Council for Pharmacy Education (ACPE). The College of Pharmacy at the University of Texas in Austin offers a Doctor of Pharmacy (PharmD) program as well as a joint PharmD/PhD (Doctor of Philosophy) degree. The college also offers a program of studies leading to a Master of Science (MS) degree through its Pharmacotherapy Division and the Health Outcomes and Pharmacy Practice Division. The college has a PhD program that allows students to choose from six available tracks: Medicinal Chemistry, Pharmaceutics, Pharmacology & Toxicology, Pharmacotherapy, Health Outcomes & Pharmacy Practice, and an Interdisciplinary track. Students can also pursue a PhD in Translational Science program that is made available in collaboration with the University of Texas Health Science Center at San Antonio and the University of Texas at San Antonio. Rutgers University's Ernest Mario School of Pharmacy offers a Doctor of Pharmacy (PharmD) degree, as well as dual PharmD degrees in medicine, public health and business administration. Master's and PhD degrees in medicinal chemistry and pharmaceutical sciences are also available. The PharmD program consists of two years of pre-professional study and four-years of professional school, including a full year of practical experience. The graduate program in pharmaceutical sciences is a research-focused program. Students completing a PhD in Pharmaceutical Sciences must complete 45 credits of original research, including a year-long residency. The School of Pharmacy offers highly competitive scholarships to its students that range from $500 to $2,500 per year. The School of Pharmacy at Southern Illinois University Edwardsville offers a Doctor of Pharmacy (PharmD) degree with concentrations in pharmacy education and pediatrics, as well as a concurrent PharmD/MBA degree program. The PharmD program at SIUE is a 2+4 program, meaning that students first complete two years of pre-pharmacy curriculum and then, if accepted into the PharmD program, complete four-years of professional study. The PharmD program includes three years of classroom study and one year of advanced pharmacy practice, with six credits of concentration courses taken the third year. The School of Pharmacy offers some endowed scholarships, giving out approximately $50,000 in scholarship funds each year. The College of Pharmacy at Washington State University offers a Doctor of Pharmacy as well as a Ph.D. in Pharmaceutical Sciences for students who wish to become pharmacists. Dual degrees are also offered for students who wish to pursue both the Ph.D. and Pharm.D. degrees or students who wish to pursue an MBA and a Pharm.D. degree simultaneously. Dual degrees will give graduates an advantage within the industry. The WSU College of Pharmacy is ranked 38th of all pharmacy schools in the nation by the American Association of Colleges in Pharmacy (AACP) in regards to the National Institutes of Health (NIH) funding. The College of Pharmacy is fully accredited by the Accreditation Council for Pharmacy Education (ACPE). The College of Pharmacy at the University of Houston is accredited by the Accreditation Council for Pharmacy Education (ACPE). The college offers a Doctor in Pharmacy (PharmD) program. Students also have the option of earning a joint degree by pursuing a Doctor of Philosophy (PhD) program in pharmacology or pharmaceutics at the same time as a PharmD program. The College of Pharmacy has the following graduate programs available: Master of Science (MS) in Pharmacy Leadership and Administration, PhD in Pharmacology, PhD in Pharmaceutics, PhD in Medicinal Chemistry, and a PhD in Pharmaceutical Health Outcomes and Policy. Through collaboration with different organizations and Texas Medical Center institutions, the College of Pharmacy offers students a number of challenging residency and fellowship opportunities. The College of Pharmacy at the University of Utah is accredited by the Accreditation Council for Pharmacy Education (ACPE). The college offers a Doctor of Pharmacy (PharmD) program. Graduates of this program are qualified to take the North American Pharmacy Licensing Exam (NAPLEX), as well as Federal and State law examinations. There are four Doctor of Philosophy (PhD) programs available: PhD in Medicinal Chemistry, PhD in Pharmaceutics & Pharmaceutical Chemistry, PhD in Pharmacology & Toxicology, and PhD in Pharmacotherapy Outcomes Research and Health Policy. Students who want to pursue both a PharmD and a PhD can do so through a pathway program developed by the Dean's Office and the Departments of Medicinal Chemistry, Pharmaceutics & Pharmaceutical Chemistry, Pharmacology and Toxicology, and Pharmacotherapy. The University of Kentucky's College of Pharmacy is accredited by the Accreditation Council for Pharmacy Education (ACPE). U.S. News & World Report ranked it as the #5 pharmacy school in the country for 2015. The college offers a Doctorate in Pharmacy (PharmD) program as well as a Doctor of Philosophy (PhD) program in Pharmaceutical Sciences. Students admitted to the PhD program can choose to concentrate in one of four tracks offered: Drug Discovery, Drug Development, Clinical and Experimental Therapeutics, and Pharmaceutical Outcomes & Policy. Residency programs are available through the University of Kentucky Chandler Medical Center. All students admitted to the Pharmaceutical Science Graduate Program receive a stipend, fully paid tuition and health insurance. The Skaggs School of Pharmacy and Pharmaceutical Sciences at UC Denver offers a Doctor of Pharmacy (PharmD) program that prepares students to take the North American Pharmacist Licensure Examination (NAPLEX) as well as the Multistate Pharmacy Jurisprudence Examination (MPJE). Skaggs is accredited by the Accreditation Council for Pharmacy Education (ACPE). The school's Department of Pharmaceutical Sciences offers three fields of graduate research that lead to a Doctor of Philosophy (PhD) degree: Pharmaceutical Sciences, Molecular Toxicology, and Pharmaceutical Outcomes Research. To provide new pharmacy graduates with training and education in the fundamentals of modern pharmacy practice, the school has a post-graduate residency program. This program is administered in conjunction with the University of Colorado Hospital (UCH) Department of Pharmacy. Thanks to an aging population and new drug discoveries, the BLS is predicting pharmacists will have a rosy future. In the next 10 years, more professionals will be filling prescriptions, dispensing medications and researching drug interactions. When they’re not providing immunizations or conducting wellness screenings, pharmacists may be advising patients on healthy living or devising new safety protocols. They can be found in hospitals, drug stores, pharmaceutical companies and medical facilities. 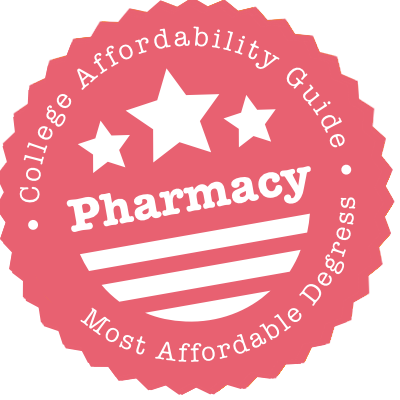 To clear the way to a successful career, we’ve developed this guide to affordable pharmacy programs. In it, you’ll find straightforward advice about job paths, degree choices, accreditation, licensure and more. We explain exactly what steps you need to take to become a pharmacist or a pharmacist technician. Note: Although you may find job postings that don’t require proof of formal study (Step #2) or certification (Step #5), you will improve your employment opportunities if you invest in higher education. For certification, most states require technicians to complete a formal program and/or pass a licensing exam. A pharmacy technician training program is a post-secondary, non-degree program designed to prepare students to become a pharmacy technician. Unlike an associate’s degree, these programs usually take 1 year or less to complete. A high school diploma or GED equivalent is required to apply. You’ll find these programs being offered by community colleges, technical institutions, vocational schools, and even retail drugstore chains. Whichever option you prefer, we recommend you attend an ASHP-accredited program. A typical curriculum will cover the practical and technical aspects of working in a pharmacy. That includes courses in areas such as anatomy, physiology, pharmacology, medical terminology, pharmacy law, pharmaceutical calculations, recordkeeping and medical ethics. To give students hands-on, clinical experience (Step #3 in our list), some schools partner with retail drugstores and pharmacies to offer “on-the-job” training/externships. They may also cover the fee for the PTCE or NHA exams required for certification. Graduates work as pharmacist technicians. Note: To become a Pharmacy Aide – answering phones, stocking shelves and similar tasks – you may only need a high school diploma or GED. An associate’s degree in pharmacy is a 2 year undergraduate program often geared towards students interested in becoming a pharmacy technician or earning credits towards a bachelor’s degree. The AAS may provide a more in-depth education experience than a pharmacy technician training program. Associate of Science (AS) in a Pharmacy-Related Subject: Often used as a stepping stone toward a bachelor’s degree. Associate of Applied Science (AAS) in Pharmacy Technology: A practice-based degree targeted at aspiring pharmacy technicians. Associate of Occupational Science (AOS) in Pharmacy Technology: Similar to the AAS in outlook. The first year of coursework for the AAS and AOS follows the curriculum for pharmacist technician training programs. In the second year, schools may offer opportunities for students to prepare for managerial roles and learn more about special topics (e.g. computerized drug delivery systems). Graduates typically work as pharmacist technicians, sometimes in leadership roles. A bachelor’s degree in pharmacy is a 4 year undergraduate program that can be used as a foundation for a non-medical career in marketing and sales or healthcare research or as preparation for the PharmD. Unlike an accelerated program, a bachelor’s degree gives students the flexibility to decide whether they really want to become a licensed pharmacist after graduation. A high school diploma or GED is required to apply. Bachelor of Science (BS) in Pharmaceutical Sciences: Prepares students for the PharmD, related careers in healthcare or jobs in drug marketing and pharmaceutical sales. Bachelor of Science (BS) in Healthcare Administration: An option for those interested in a master’s degree in pharmacy or healthcare administration. Bachelor of Science (BS) in Medical Technology/Clinical Laboratory Science: An option for students interested in effective techniques of laboratory diagnosis in medical research. Bachelor of Science (BS) in Marketing: Geared towards those interested in becoming pharmaceutical reps and marketers. Check with individual schools to see if they have specific degree programs targeted towards the PharmD. In later years, students may be able to delve into advanced pharmaceutical topics, including areas such as pharmaceutical testing, manufacturing and research. Even if you’re not interested in becoming a licensed pharmacist, you will have other options after graduation. You may wish to pursue a career in drug marketing or pharmaceutical sales. Or you could look into areas such as product testing and pharmaceutical research. A master’s degree in pharmacy is a 1-3 year graduate program that allows students to explore an advanced topic of pharmaceutical research. A bachelor’s degree with science credits is usually required to apply. Some schools limit their intake to licensed pharmacists who hold a PharmD. If you’re interested in becoming a pharmacist and specializing in a particular area, look for joint PharmD programs. Master of Science (MS) of Pharmaceutical Science: Prepares students for leadership roles in pharmacy-related careers or doctoral research. Master of Science (MS) in Clinical Psychopharmacology: Examines of the interplay of pharmacy science and psychology. Master in Clinical Research (MCR): Geared towards professionals interested in advanced clinical drug research and development. Master of Science (MS) in Pharmacology and Toxicology: Provides students with the skills required for technical positions in pharmacological research and testing, clinical trials and/or toxicological assessments. These are just a few of the options available. To appeal to working professionals, schools also will combine pharmaceutical topics with concentrations in areas such as regulatory affairs or management. Coursework will depend on your choice of degree. Most programs culminate in a research dissertation and/or capstone project. Please consult your school’s syllabus for more information. Because licensed pharmacists are required to earn a PharmD, master’s degrees are often targeted towards students interested in advanced drug/medical research or managerial roles in healthcare. A graduate certificate in pharmacy is a non-degree program that typically takes less than 1 year to complete. They come in many flavors, and coursework is targeted towards a specific area of interest (e.g. regulatory affairs, health policy, etc.). A bachelor’s degree is required to apply. Earning a graduate certificate is not the same as certification/licensure – that requires specific training and exams. If you’re interested in the possibility of a master’s degree, make sure your academic credits will be transferable. A Doctor of Pharmacy (PharmD) is a 4 year professional degree that students must earn from an ACPE-accredited school of pharmacy before they can become licensed pharmacists. It includes advanced coursework, extensive clinical experiences and preparation for licensure exams. To apply to PharmD programs, you will need to have at least 2 years of approved pre-pharmacy coursework and a passing grade on the Pharmacy College Admissions Test (PCAT). You can cover this coursework by pursuing a traditional bachelor of science or enrolling in an accelerated program. Doctor of Pharmacy (PharmD): Required to obtain a pharmacist’s license. Advanced Doctor of Pharmacy (Adv. PharmD): A 3 year degree aimed at students who have completed pre-professional coursework at an accredited college or university. First year work often focuses on pharmaceutical basics, including areas such as pharmacy law, ethics, pathophysiology, physical chemistry and other topics related to patient care. In the second and third years, the curriculum becomes more advanced. Areas such as biostatistics, pharmacotherapy, immunopharmacology and institutional pharmacy are examined. Students begin clinical work and start concentrating on their chosen specialty. In the fourth year, students complete a series of supervised rotations (4-6 weeks) in pharmaceutical settings. They learn how to talk to patients, discuss medications and oversee staff. They also have the chance to refine their area of interest (e.g. pharmaceutical sciences, drug research, etc.). Clinical Pharmacist: Employed in hospitals, clinics and medical facilities. Retail Pharmacist: Employed by large chain pharmacies such as CVS. Pharmacist in Charge: Supervises pharmacists and pharmacy technicians. Pharmacy Director: Supervises the staff or pharmacy department at a clinic, store, etc. Accelerated PharmD programs combine two years of pharmacy prerequisites (e.g. chemistry, biology, anatomy, etc.) with four years of the PharmD. Some year-round programs even combine 2 years of prerequisites with 3 years of PharmD. That means students can complete their training to become a licensed pharmacist in as little as 5-6 years. The first two years of an accelerated program are designed to prepare students for the Pharmacy College Admission Test (PCAT). You cannot pursue a PharmD degree without passing this test. PharmD/MBA: Equips students to run their own business or assume management positions in retail pharmacies, hospitals and private pharmaceutical companies. PharmD/MPH: Tailored towards students interested in public health issues such as community behavior, public health policy or epidemiology. PharmD/PhD: Allows students who wish to practice as pharmacists to focus on a particular area of pharmaceutical research. PharmD/JD: Gives students professional training in pharmacy law and policy. Not all pharmacy students choose to become licensed pharmacists. Instead, some decide to pursue a Doctor of Philosophy (PhD) in pharmacology, pharmacy policy, medicinal chemistry or a host of other concentrations. These programs are intended for those who want careers in research. As a reminder, you cannot work as a licensed pharmacist without a PharmD. We recommend your university or college have regional accreditation. This is a “seal of approval” granted to institutions by one of six regional accrediting bodies (e.g. New England Association of Schools and Colleges). Regional accreditation only applies to the overall institution, not individual degrees or programs. Students interested in pharmacy degrees and the PharmD should also look for ACPE accreditation; those considering pharmacist technician training programs should look for ASHP accreditation. The Accreditation Council for Pharmacy Education (ACPE) accredits undergraduate degrees and the PharmD. The board that sets accreditation standards is composed of professionals from the American Council on Education, the American Association of Colleges, the American Pharmacists Association and the National Association of Boards of Pharmacy. You must earn a PharmD from an ACPE-accredited program before you will be allowed to take the North American Pharmacist Licensure Examination (NAPLEX). ACPE accreditation will also make it easier for you to transfer credits. View a list of ACPE-accredited programs. The American Society of Health System Pharmacists (ASHP) accredits pharmacy technician training programs and pharmacy residencies for the pharmacy profession. To qualify for accreditation, training programs must include at least 600 hours of instruction over a minimum of 15 weeks. ASHP-accredited programs are offered by community colleges, vocational schools and a few retail chains. View a directory of ASHP-accredited programs. Each state has its own rules and regulations about becoming a licensed pharmacist. Please check with your state Board of Pharmacy for exact details. Not all states require pharmacy techs to become certified pharmacy technicians (CPhT). However, you’ll increase your job opportunities if you become certified. Some employers will even pay for pharmacy employees to take the certification exam. Please check with your state Board of Pharmacy for exact requirements. Certification has to be maintained by taking continuing education courses and passing recertification exams.